In the coming weeks, SCSJ will introduce you to our Spring semester interns. Their internships are sponsored by a generous gift from the Troan Family Foundation. With diverse backgrounds and academic interests, we know that you’ll enjoy getting to know them. 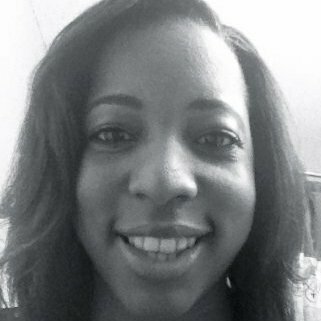 This first post is by Oprah Keyes, a Macro Social Work (MSW) student at UNC-Chapel Hill. When you started telling people that you were planning on pursuing a career in social work, what kind of responses did you get? While hopefully a lot of people were excited for you, and the countless people that would one day benefit from your skill set, I am sure that many of you were also met with skepticism and doubt. Stereotypes of what it means to be a social worker, concerns about going to graduate school for a career that isn’t known for making a lot of money and facing additional student loan debt. What did you tell them? Why did you pick Social Work despite those comments? Why do you do what you do? In the midst of a rough semester of courses, field hours, homework, extracurricular activities, and whatever else might be going on in your personal life, it is easy for those negative comments in the back of your mind to creep back up. In times like that, this is the question that I have to keep asking myself: Why am I here? Why do I do what I do? Having these conversations with myself, and with others, especially with like-minded individuals is what keeps me motivated. So, for those of you that find yourself in a similar situation: Why do you do what you do? Keep doing what you’re doing. You can do it, it’s too important not to. Follow your passion. I am a Final Year MSW Student in the Macro (Community, Management and Policy Practice) Concentration. My social work areas of interests include Juvenile and Criminal Justice, and policy reform. I am originally from a small town in the Netherlands, but moved to Chapel Hill 5 years ago to pursue by Bachelor’s Degree in Sociology. I’ve been around here ever since and North Carolina, as well as UNC Chapel Hill, hold a special place in my heart. When I am not at school, at field, at work, or volunteering, I am probably working out, at the grocery store or sleeping, but I also like to hang out with friends and listen to music.